Lee Cross Interior Design Services has been providing residential design services for the past 20 years. Lee and her Staff contribute a high level of expertise to developing custom interiors for you. Barbara Grushow’s boutique design studio is located in Malibu, California. With her sophisticated, yet causal chic style, she believes that wonderful design is an opportunity to deepen sensitivity and inspiration to one's surroundings. Her seasoned vision can transform a room that might otherwise go unnoticed to become an inspiring sanctuary of comfort. Having a trained eye for accessibility and aging in place, Barbara also encourages her clients to think long term especially when it comes to building and remodeling. She knows that collaboration with clients is of the utmost importance and that working together in a creative, innovative, and productive manner will ultimately shape the success of a project. Barbara's goal is to combine smart planning with great design to make sure all of her clients needs and budgetary goals are met without exception! Barbara’s work has been viewed on KNBC’s LX-TV “Open House LA,” Bravo TV’s “Million Dollar Listing,” and TV Guide Television’s “Malibu Homes to the Star’s.” She has been published on the cover of Homes & Land magazine and featured twice in LA Confidential Magazine. Mariah Shaw Design will help you create spaces that will enrich your life and become the backdrop for beautiful memories. At Lauren Jacobsen Interior Design we provide professional design services for discerning clients across southern California and the U.S. We accept projects including new home construction and space additions, remodels or renovations for homes of character and quality. Our firm believes in listening intently to you, understanding your ideas and visions and then interpreting them into something far more than you could achieve or imagine. We create a unique and personal style for each and every home. With a soft, clean-lined aesthetic infused with the right amount of color and appreciation of the perfect canvas that nature provides, we design every detail from the floor to the ceiling, from furnishings to accessories, rugs, art and more. All the frustration and confusion of planning and coordinating your project is happily handled by our design professionals and project managers. What you receive in return is a beautiful, comfortable, livable home that’s transformed to be completely, unequivocally all for and about you. One on one relationship with the client and their team is the cornerstone of our studio's business philosophy. Let's connect and see how we can get your project going! DESIGN SYNTHESIS was founded in 2001 by Fran Kerzner, who brings 28 years of design and space planning experience to her clients. Prior to becoming an Interior Designer, Fran was a CPA for 12 years and spent 6 years managing Accounting Departments for multi-million dollar construction companies. Her top-notch budgeting skills is just one of many reasons her clients enjoy working with her, and what separates her apart. Fran has a true knack for listening to her clients and creating original spaces that fulfill all of their dreams and more. The essence of her design philosophy is epitomized in the name of her company: Design Synthesis. She's truly adept at combining modern and traditional design components against a background of clean lines to create a synthesis that is more than the sum of its parts. Marie’s ultimate talent is understanding her clients needs and creating home, office and commercial interiors that are balanced, sophisticated, and highly functional. Because each life event and each home is so important to my clients, I take special care to infuse each project with thoughtful, unique touches that relate specifically to them. Call me today! As an Interior Design and Space Planning company, Susan Jay Design creates enduring environments that capture the spirit and personality of each client by utilizing inventive design solutions. 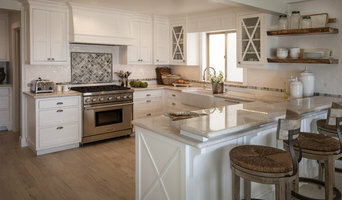 Lori Backen Interiors exemplifies the feeling of the California lifestyle. Her interiors are warm and inviting, comfortable yet sophisticated, casual with a touch of playfulness. Call us today! From single rooms to major estates and 5-star resorts, Nina Petronzio has solidified Plush Home’s reputation as a high-end purveyor of turn-key interior design services. Grace Home Furnishings is a unique Los Angeles design destination. Located in the heart of Brentwood Village, ourshowroom features a graceful and distinctive mix of custom furniture. We provide interior design services and have a 6,000 sq ft showroom of luxurious home decor in the Sierra! We design for remodeling and manage projects with local contractors. Call us today! We take great pride in our experience, expertise, and quality that we provide to meet the consumer's needs. It is our mission to provide excellent workmanship and complete customer satisfaction. Janette Mallory is the go-to interior designer for traditional meets contemporary eclectic design. Since launching her eponymous interior design firm in 1993, Janette’s effortless aesthetic has made her the best kept secret of the interior design world. “Good design is an intersection of architecture, art, psychology and beauty.” And indeed, Janette pays tribute to those disciplines in her design aesthetic – whether it’s a celebrity residence, a vacation home or a beachfront restaurant. Additionally, deeply influenced by her father’s several decades’ long construction business, Janette’s interior design services typically extend to the exterior space including hardscape, softscape and outdoor construction. After earning her interior design degree from UCLA, Janette traveled Europe extensively immersing herself in the study of architecture and European art. Thus began her love affair with structural wonders and treasured artifacts that vastly enhanced her foundation in design theory – a distinctive trait that separates her from other designers. In fact, it’s this curiosity and fascination that has driven her avid curation of antiques and vintage pieces prompting Janette to be a regularly featured vendor on One Kings Lane. Furthermore, Janette’s versatile sense of style and discerning eye for beauty has manifested into a stylistically diverse portfolio of projects – a testament to her appreciation for different aesthetics and customized approach to each client’s requirements. “My focus is never on the style; I let the client dictate that. Rather, my approach is to ensure my clients receive a space that evokes warmth and comfort through fine craftsmanship and well-curated furnishings and art that complement the space’s architecture.” It’s precisely that type of attitude that keeps clients coming back for more. Throughout her distinguished 19 years in the interior design field, Janette’s work has been featured in Fox 11’s Good Day LA, Lucky magazine, and local magazines such as 90265 Malibu, Calabasas, 805 and Westlake, just to name a few. A California native, Janette resides in Malibu, CA with her family. We are a full-service residential design firm dedicated to enhancing the lifestyle of our clients. We specialize in custom home construction, renovation, and interior design. Interior designer in Los Angeles, focusing primarily on residential work. Takes pride in detail and design efforts. LA Dwelling is an independent kitchen and bath company with designers based in Los Angeles, Encino and Van Nuys. We design stylish spaces and are uniquely qualified to guide you through the process of your remodeling project. Our expert planning will make the most of your space because we listen; customizing the design to your needs so that it is as individual as you are. Remodeling can be a roller coaster but with us on board we make it fun - not frightening. Contact LA Dwelling to discuss your next adventure! Bauer Design Group is an award-winning interior design, marketing and branding firm focused on the unique needs of home builders, property managers, developers, and homeowners. LA's Most Elite Interior & Outdoor Living Designer I Best of Houzz! Since inception, DEZINE, Inc has believed that the creative process is stronger through collaboration, so we built our newest brand around that very idea. We open the door to endless possibilities. Stef Bauer has 12 years of experience in designing peoples homes, with a specific niche in Paint and Surface design helping them achieve a great environment that is specifically created for them. Popix Designs is a full service interior design studio focusing on residential renovations, interior design, and interior decorating. Lizzie is the head designer of Popix Designs. Lizzie's style is bold, unique and fun! She loves to mix patterns and colors to create modern livable spaces. Lizzie prides herself in staying up-to-date with the latest trends, to keep her work looking extra fresh! She is always conscious of her clients wishes, and she is happy to work with any style or taste. Lizzie believes that if you walk into a space that you like, and are inspired by, it can make you feel happy. Lizzie’s ultimate goal is to make her client’s home’s feel warm and inviting so that they are happy every time they come home. As passionate interior decorators and designers, our mission is to inspire creativity! Supporting our clients’ needs while developing a design scheme that will stand the test of time. After scheduling an initial consultation we will meet with you for an extensive discussion of the vision, style, needs, budget, and time-line for your unique project. The work of a professional can make all the difference. Whether your home has 10 bedrooms, or your apartment is 800 square feet, it can be tricky to create a cohesive look that is representative of your style. That's where a local Topanga interior designer comes in. A home decorator will help distill your tastes and ideas into a design that suits the needs of your space. Whether you need help creating a functional space plan, rearranging existing pieces, designing the inside of a new home, or simply sourcing amazing furniture and decor, seeking the help of professional interior designers and decorators in Topanga, CA is a must. A good home design professional will hone your style down to its very essence and be able to choose a functional layout that feels natural to you. Interior design companies can be involved as much or as little as the client desires. Many clients who hire an interior decorator in Topanga, CA — particularly those who are remodeling — have a good sense of how the room should look and what products they should use. Often clients will insist that interior decorators use the products already present in the house. Other times a designer will need to start from scratch — especially if this is a newly purchased or just-built home. An interior design company will need to figure out exactly what the client needs, which includes organizing rooms, picking flooring and wall colors, and finding furniture to complement it all. Sometimes that means he or she will have to recruit help from other Topanga, CA home professionals to help create the perfect look for your renovation. Here are some related professionals and vendors to complement the work of interior designers & decorators: Architects & Building Designers, General Contractors, Home Builders, Design-Build Firms, Photographers. Do your research before meeting with an interior designer or home decorator in Topanga, CA. Ask yourself what you want your space to become and what it will be used for. Figure out the extent of what you need help with, what your must-haves are and what your budget is. Interior design services can add up fast, so be up front with a potential design firm or individual from the beginning. Also, pick an interior decorator that fits your style. Browse through the portfolios of different Topanga interior design firms and decide if you would live in those houses. Just because you like something doesn’t mean you could live in it. There's a big difference! Find an interior designer or home decorator in Topanga, CA on Houzz. Narrow your search in the Professionals section to find Topanga interior designers near you. You can also look through Topanga, CA photos to find a room you like, then contact the design firm who designed it.